This is what Metro looks like now. And it's staying that way for a long, long time. Don't try to take the Blue Line to 14th and U Streets NW. It's not there yet. And it won't be for many, many years. But that hasn't stopped a new Philly cheesesteak shop near 14th and U from using the map on the back of their menu, GreaterGreaterWashington noticed. This restaurant is now showing all of its patrons how to get there using a public transportation system that doesn't exist (but ought to). It's also the same map that MediaBistro also unintentionally used last year. Great. 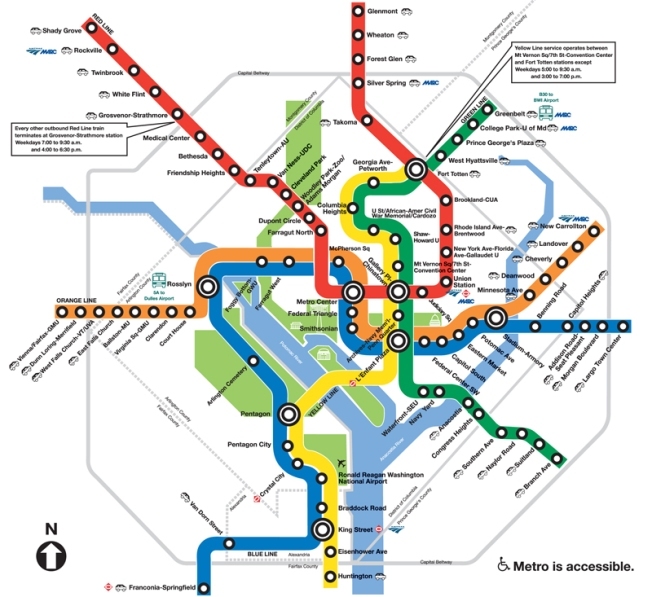 That means there are more of those maps out there, just taunting us with the possibilities of "Future Metro." The same Metro that's currently cornered the market on herky, jerky rides. It's like Metro's version of "A Christmas Carol," except not quite.